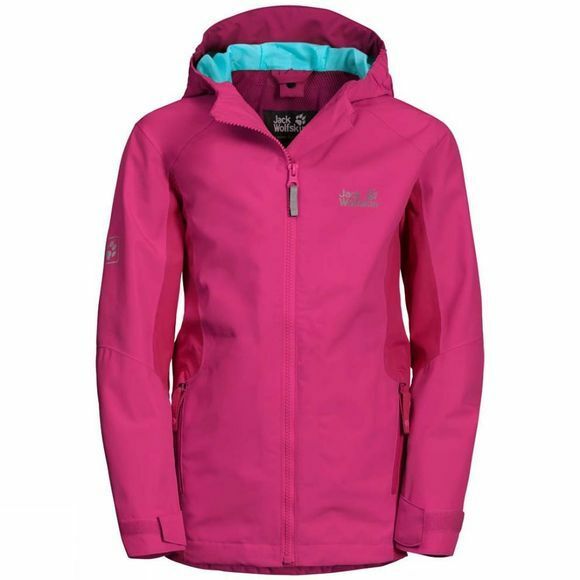 The Girls Grivla Jacket was designed and developed with children for children. Because kids often know best what makes a good kids' jacket. 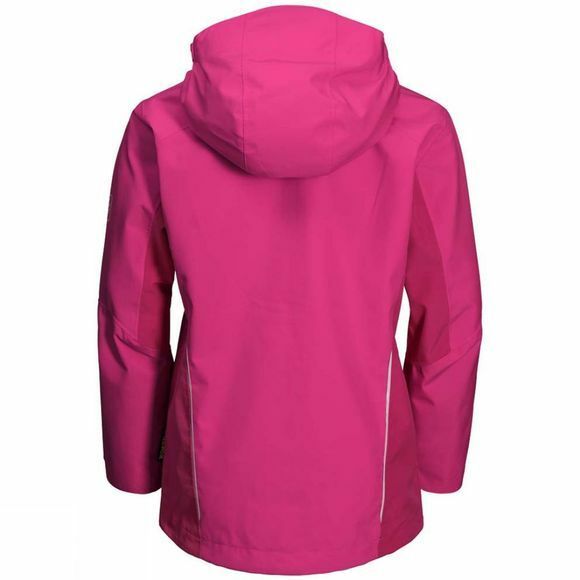 This jacket keeps them dry in the rain and feels really comfortable, even when they're running around a lot. The front zip has an extra high chinguard in soft microfleece that covers the neck and chin. The raised pockets are accessible when carrying a pack with the waist belt fastened. TheGirls Grivla Jacket was inspired by Hannah Steingässer. Together with her family, Hannah is travelling the world tracking the effects of climate change. The name Grivla comes from a bear whose cave Hannah explored during a trip she made with a bear researcher.